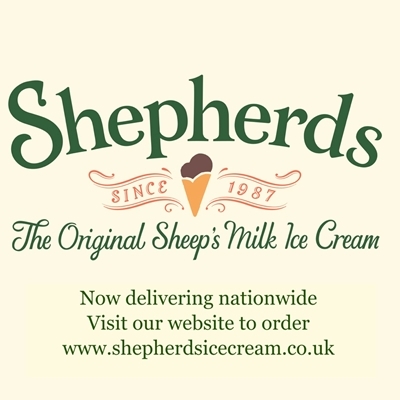 Shepherds Ice Cream is manufactured 9 miles outside Hay in the foothills of the Black Mountains. We have a large selection of mouth watering ice creams and sorbets (for the dairy free). You can buy it at our stalls on the Festival Site, or enjoy it in Hay itself at Shepherds Parlour.